DMin, Alliance Theological Seminary; MDiv, Wesley Biblical Seminary; BTh, Emmaus Biblical Seminary. Lucner Pierre and his wife, Luna, have four children: Victoria, Victory, Victor, and Victorain. Lucner has been serving at different offices at EBS since 2006. He entered the Emmaus Biblical Seminary as a student in 2003. When the librarian of the seminary left, he was trained and became the official EBS librarian in 2006 even though he was a student. After his graduation in 2007, he was appointed translator for the visiting professors, and Dean of men of the seminary. He became the general Director of discipline of the seminary in 2010, and the academic Dean in 2011. He served in that office for several years until he became the Dean of advancement on January 2018. He also teaches several courses over the years he is serving there. 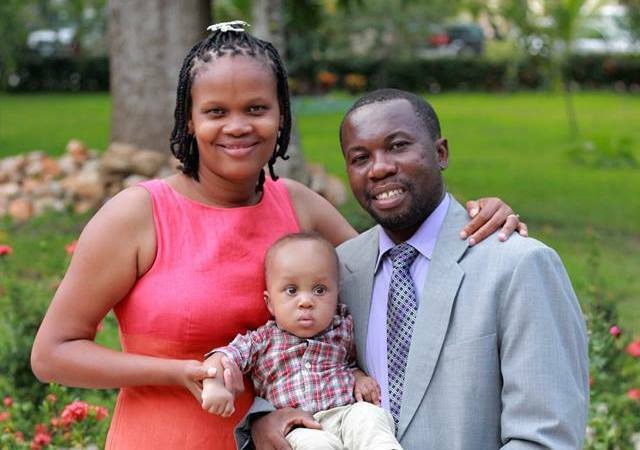 Please, pray for Lucner and his family as they devote their lives to serve and promote the mission of EBS in Haiti.